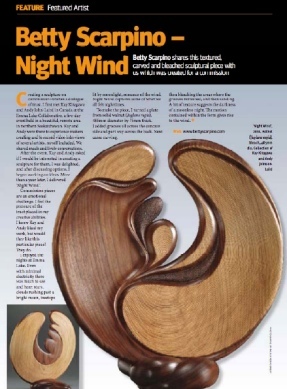 Throughout her career working with wood, Betty Scarpino has been recognized as one of the leading wood artists in the fields of sculpture, woodturning, woodcarving, and woodcut printmaking. 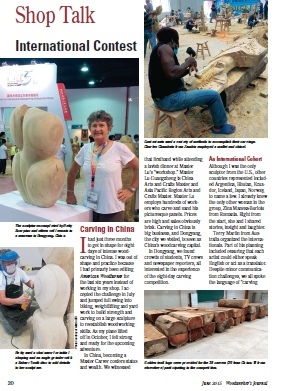 The articles below narrate some of Betty’s adventures such as a woodcarving competition in Dongyang, China, the Collectors of Wood Art’s 2015 Lifetime Achievement Award, and a profile article by David Fry in American Woodturner journal. This article also tells about Scarpino’s photojournalism residency for the 2016 Windgate ITE International Residency sponsored by the Center for Art in Wood. Click to open a pdf version of this article in a new tab. 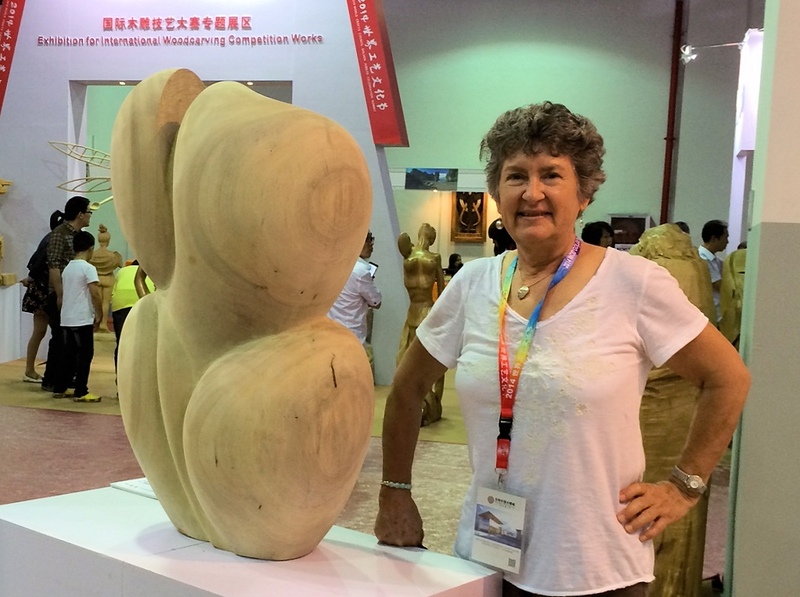 “Creating a sculpture on commission involves a dialogue of trust. I first met Kay Kitagawa and Andy Johnson-Laird in Canada at the Emma Lake Collaborative, a five-day event held in a beautiful, remote area in northern Saskatchewan. Kay and Andy were there to experience makers creating and to record video interviews of several artists, myself included. We shared meals and lively conversations. 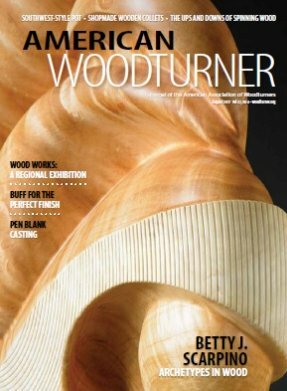 Collectors of Wood Art (CWA). 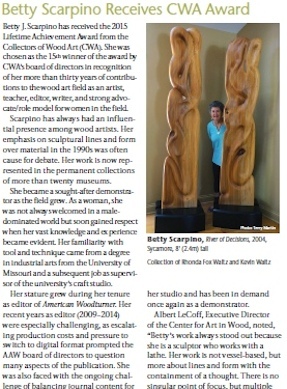 She was chosen as the 15th winner of the award by CWA’s board of directors in recognition of her more than thirty years of contributions to the wood art field as an artist, teacher, editor, writer, and strong advocate/role model for women in the field.